My blog post last week talked about our two daughters and their mending piles, and the fact that because I like sewing, obviously in their mind, I am the person to also do the mending! As I worked this week on finishing some more of the grand-children's projects, I decided that the fact that I am a "finisher" is also being played upon!!! Having things unfinished around me really does aggravate me. If there's something to be done, I like to tackle it and get it off my list! I do admit that tucked away in a drawer where I can't see them, there are a couple of projects that do need some attention, but "out of sight, out of mind" and I can cope with that! Grand-daughter number one wanted a new pencil case, long enough to fit in her ruler. 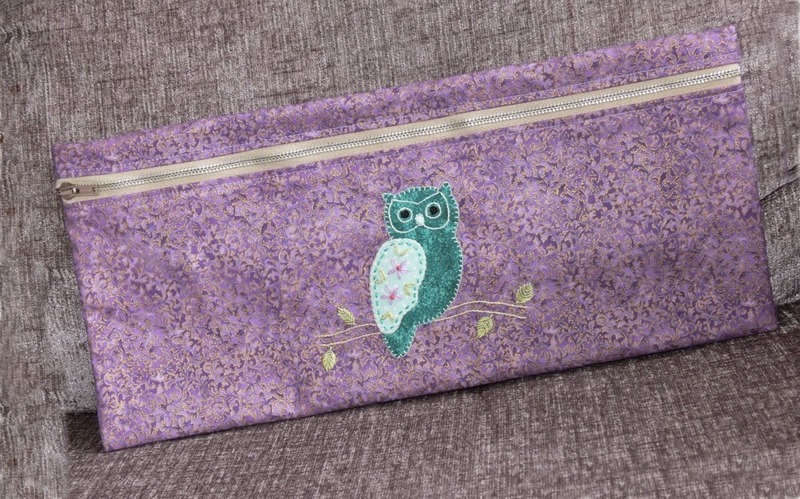 She was quite definite in what she wanted - purple with a cute little owl on the front! They all seemed happy with the products when I gave them out yesterday! School starts again this week, the holidays are over, and now I am hoping for some sort of 'back to normal' as the functional year begins. I have heaps of projects swimming around in my head, some are on paper, others are already on fabric. I am excited and eager to get started on my new designs. I am very fond of the black backgrounds that are appearing in some of the new fabric ranges. Contrary to expectations of sombre and dark, I find that the black serves to highlight the other beautiful colours with a much greater intensity and there is a brightness and lightness in the design that is quite unexpected. So another item is ticked off my "to do" list and I'm off to work on the next one! It was funny that you mentioned 'mending' in your last post - I ended up doing the very same thing a couple of days later in a visit to my daughter's family. I love what you did for your grandchildren - each one different and special. I agree with you about black. 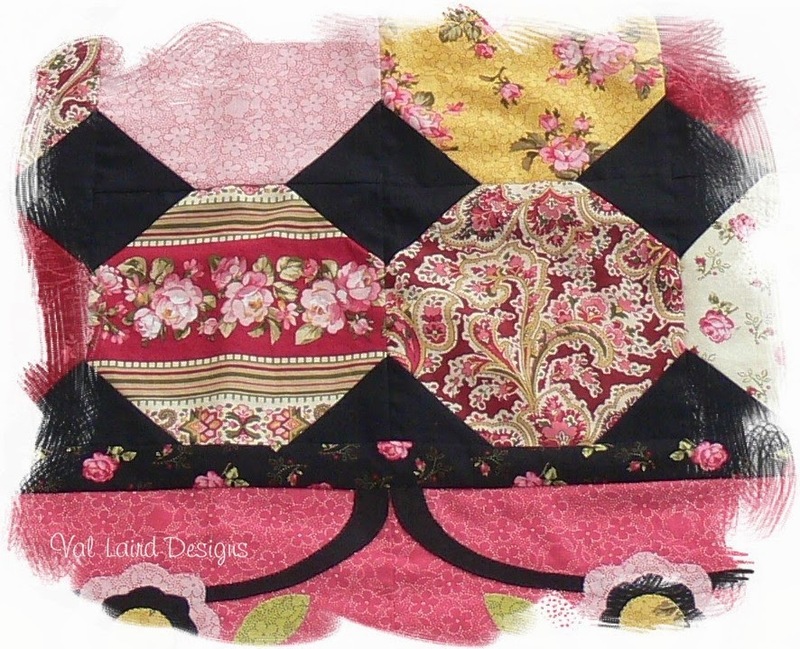 I was influenced by Amish quilting back in the seventies, because of where I lived. I still like the contrast of black with color. Looking forward to seeing that finished project! Very clever way of using crosstiches. We do that with stitcheries so why not? 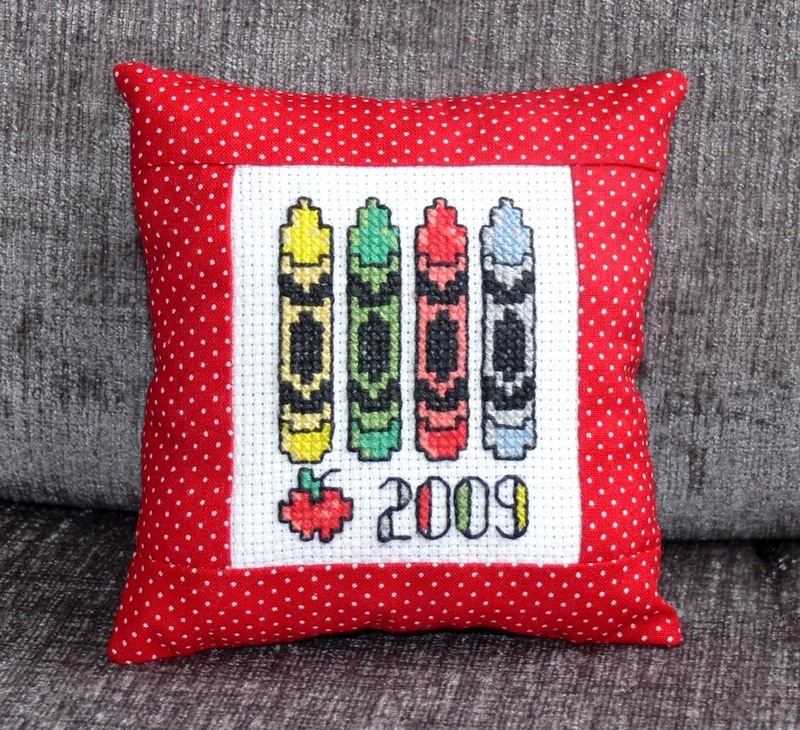 These are some very creative ways to use your finished stitched projects! I am new around here and loving everything I find! 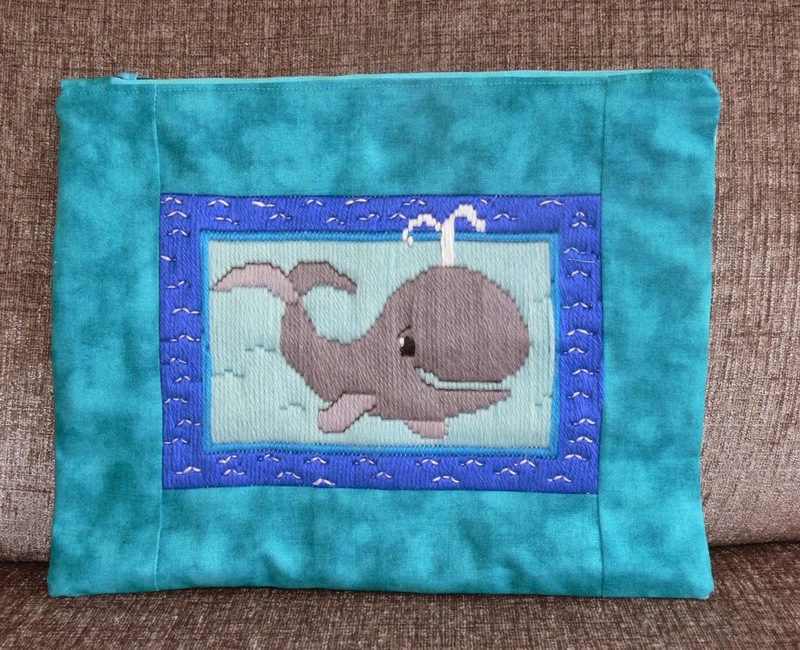 I am taking part in your BOM wall hanging and I hope to get started on my first blog on Monday Feb. 1! That way I will use the entire month (if necessary) to finish this one. 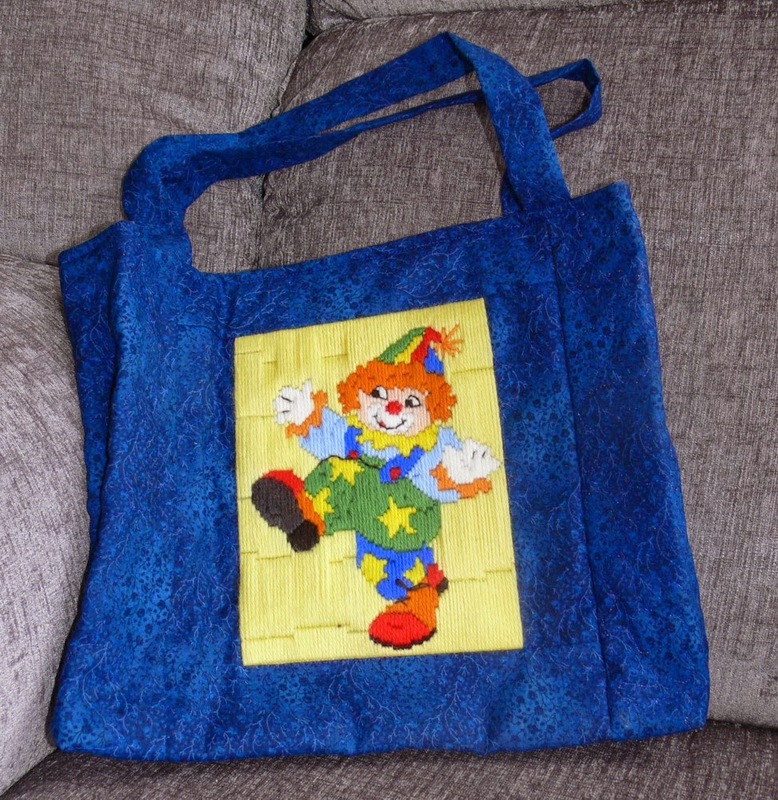 I have a cross stitch project on the go at the moment and was wondering what I would do with the piece when it is finished in the distant future. As you said there is a limit to the amount you can display on the walls. Thanks for the ideas.